A covered call is a way of generating income from a trading position that you already hold. Writing covered calls can be very effective and can significantly increase the total yield on otherwise fairly static trading positions. For this reason it’s often used by traders and portfolio managers who control large funds. Writing covered calls also provides some downside protection in that the income from the option premiums can offset small losses in a position that’s otherwise moving sideways or against you slightly. Broker rules for selling options vary. Most will only allow you to write calls when you “own” the underlying instrument outright. Hence the name “covered”. A position in the underlying can be in the form of shares, physical currencies or commodities, or even an ETF (exchange traded fund). A futures position might be acceptable but only where it’s deeply in the money and not highly leveraged. Providing the options you are writing are fully covered, this kind of option writing is not inherently risky. In fact it will lower your overall risk on the position. The main risk of writing covered calls is that of losing upside potential. If the option you are writing is not “fully covered”, the broker will normally ask you to put up other collateral. You may also be asked to sign a derivatives trading risk disclaimer. To take an easy example let’s say you own gold through an ETF share. A covered call would involve selling a corresponding amount of calls against the underlying gold. At this point, you’ll need to decide the strike price for your options. Whether you sell calls which are out of the money, at the money, or in the money will depend on what you expect the underlying to do. The choice of strike price is a classic trade-off between risk and option premium. Selling options that are further in the money will result in you receiving more income from the premium. However, there’s also a higher probability that the options will be exercised. Options that are further out of the money are more likely to expire worthless. But for these you’ll receive a lower premium. Once the call is written, your broker will place a lock on the underlying, in this case the gold share. This means you won’t be able to close it while the option is still open. The covered call is used to express a neutral or somewhat bullish perspective. If the underlying starts to rally to the upside, the maximum profit from the gold will be capped at the strike price of the short call. In this example, that’s $95. The diagram below shows the payoff. In the above example, if you sold 4 such options over 12-months, that would result in a yield of 26%. That’s assuming of course that the gold price is flat and your options expired out of the money. If gold sells off or doesn’t move at all, the calls will decrease in value. Remember, you are short calls. Hopefully the underlying will not rise to the strike level and they will expire worthless. This will result in a profit from the premium collected without having to pay out on the option. In the example, under the terms of the option, you’ve committed to sell at $95. If gold rises to $95, you sell the gold and keep the premium. Thus your maximum profit is $9. That’s +$3 gain on the underlying plus $6 premium. What if the underlying falls? If gold falls, you’ll suffer a loss from being long the underlying. A covered call is not a true hedge. It won’t protect you from sharp falls. But the idea is that the calls sold will make up for some negative movement. In the example, if gold fell to $86, you would break even. 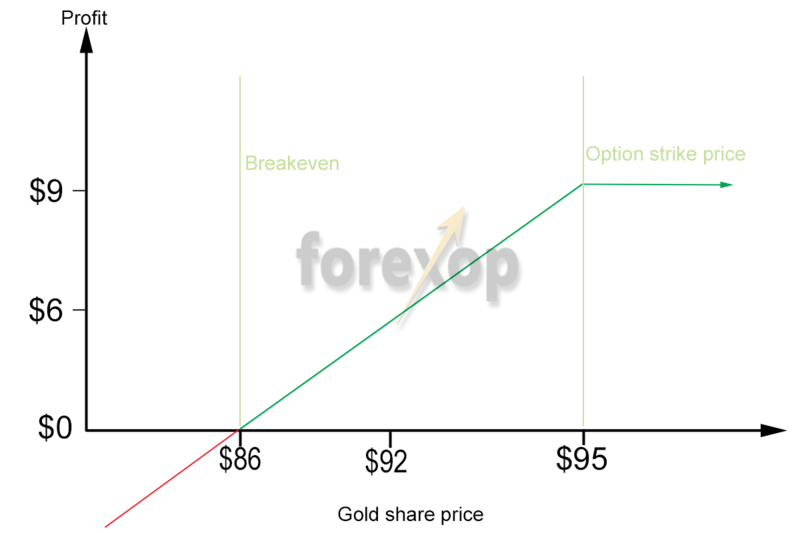 Your loss on your gold share is -$6, but this is offset by the $6 gain from the option premium. The amount of calls you can sell for them to still be “covered”, or the amount of underlying futures contracts necessary varies from product to product. Covered calls for commodities and currencies do not necessarily follow the same ratio for equities of 1 option to 100 shares. It’s important to check that you are selling the right amount of calls for the amount of the underlying you hold. The covered put is really just the opposite of the covered call. In this case though, you write an option which is “covered” by a short holding. If you are short an underlying instrument, a covered put can create income and increase the overall yield of the position. Margin rules vary from broker to broker, the instrument type as well as the existing profit or loss (P&L) on the position. However, because a short position in an underlying already involves borrowing, your broker might ask you to put up additional collateral if you want to go short a put. To write the covered put, you would sell the corresponding number of put options, so the position is covered to the downside. Again, your broker will lock the underlying position that is acting as the cover. The payoff on a covered put is a “mirror” of the covered call. The underlying could go to zero and you would be covered, because of the short position you have in the underlying. If the underlying rallies upwards, you will lose money from the short underlying position, but will make money from the puts sold. Likewise, if the underlying doesn’t move, just like for the covered call, you will also collect the premium from the put. 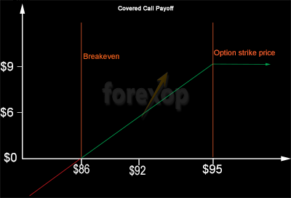 Both the covered call and the covered put are risk defined trades. While covered call and covered put are not a hedge, they do acts as a buffer in that the option premium collected can offset some negative market movements.